U-Shaped Stair with Split Landing? 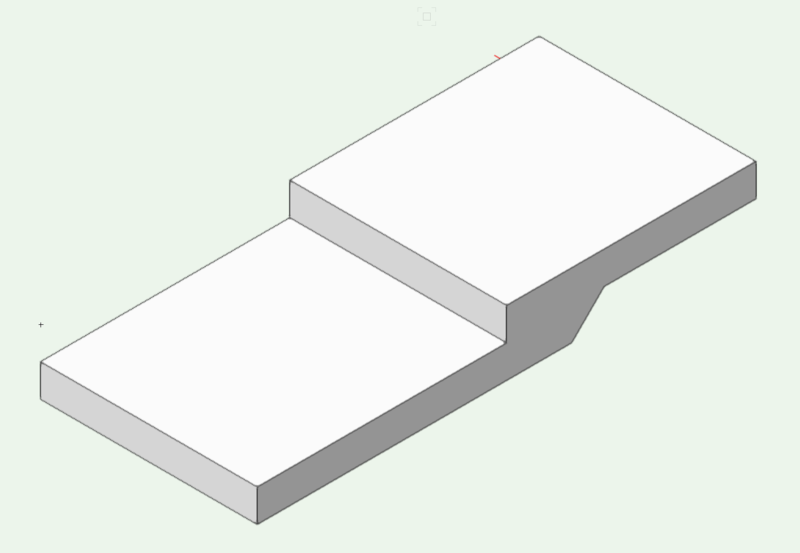 I would like to create a U-shaped stair with a split landing (i.e., one riser between the sections of landing) but the stair configurator when set to "U-stair, double landings" will not allow 1 riser to be set in the landing portion. Why is this? What's the best solution? Not sure where you are but here in Australia the Building regulations have a max and min number of risers and its min of 2 Risers and i think these stairs are based on regulations. One way to do this is to create 2 stairs. Or place the 3D stair in oblique (1 on num pad) and explode (ctL+K) then ungroup to get the 3D stair, then alter. I looked for such a regulation in the US, and didn't find one. Odd that VW would "cook in" one code regulation (even with "use max/min values" unchecked this limit remains) but allow one to make stairs with rises and runs that are non-compliant, for example. I think they should leave this value at the discretion of the designer too. Thanks for the suggestions. I actually brought back the custom stair tool from the legacy workspace and it did this just fine. I think this plugin was created by OzCad Australiahence the Australian/ New Zealand codes within. The Stair object is from Germany. From the message which comes up it would seem they have a limit on flights being a minimum of two treads / three risers. The Custom Stair object may be better option (you might need to add it to your workspace). Alternatively you could model your stair in 3D, then draw the 2D appearance over the top of it in Plan View and then create a hybrid symbol. A better way to do this would be to use a Slab object with modifiers for the intermediate landing and then use two separate stair objects. The image below is a 300 deep slab that has had two 150 deep 3D objects subtracted from it using the Subtract 3D Object From Slab command on the AEC menu. Note you need to do this in one operation so select the Slab and all modifying objects and then use the Command.